DIMITRI LASCARIS:	This is Dimitri Lascaris for The Real News. 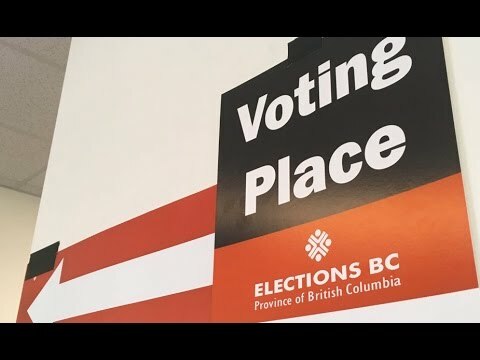 Tomorrow May 9th, voters in the Canadian province of British Columbia will cast their ballots in a provincial election. The result of this election may well have consequences that extend well beyond the borders of British Columbia. Immediately to the east of British Columbia lies the Canadian province of Alberta, the center of Canada’s tar sands industry. For years, the Canadian tar sands industry has been lobbying aggressively for increased pipeline access to Canada’s west coast. Despite its commitments under the Paris Climate Accord, the federal government of Justin Trudeau recently approved the expansion of Kinder Morgan’s Trans Mountain pipeline. If that expansion occurs, oil tanker traffic in the Vancouver area is expected to increase almost sevenfold from 60 oil tankers a year to approximately 400 a year. The completion of the Trans Mountain pipeline expansion would not only increase the risk of a major oil spill on the west coast of North America, but it would expand the export of oil from Canada’s tar sands industry potentially for decades to come. Now here to discuss the BC election with us is Murray Dobbin. Murray is an activist, author, and political commentator. He writes a column for CounterPunch and rabble.ca and he joins us today from Powell River in British Columbia. Thanks for joining us, Murray. DIMITRI LASCARIS:	Murray, I’d like to begin with an overview of the three parties that are the principal contestants in this election: the Liberals, the New Democrats, and the BC Greens. As I mentioned at the outset, the Kinder Morgan pipeline expansion is an important issue in this election, but there are certainly others including the reform of the province’s electoral system and campaign finance. In fact, in January of this year, The New York Times did an exposé on BC’s campaign finance laws describing BC as the “Wild West of Canadian Political Cash”. Where do the three parties stand on these three core issues of the Kinder Morgan Trans Mountain pipeline expansion, electoral reform, and campaign finance reform? MURRAY DOBBIN:	Sure. Let me say to start off with, the Liberal party is not actually liberal. It’s an interesting coalition of really some very right-wing parties. There was a party called the Reform party which was on the far right, an old Social Credit party, also right-wing, plus Liberals and Conservatives. It’s more of a coalition than a single Liberal party. The NDP is a social democratic party and the Greens of course primarily look at the environment as where they focus most of their policy efforts. Both the Greens and the NDP oppose the Kinder Morgan pipeline and the Liberals support it. On campaign finance, the NDP is the strongest on that. The Liberals of course have said that they will study it, which means that if they win, nothing will happen. The Greens have also talked about campaign finance. Of course what your listeners need to know is that the Greens have no chance of winning power. They have one seat in the legislature at this point. They might get another couple of seats, so it’s important to bear in mind that it’s a party making promises that it will never be able to keep. DIMITRI LASCARIS:	Let’s talk for a second about campaign finance. Why did The New York Times describe BC’s campaign finance regime as the Wild West of Canadian Political Cash? MURRAY DOBBIN:	There are virtually no rules. Corporations can give as much money as they want, individuals can give as much money as they want. Even foreign corporations can give money to parties and that has actually happened with the Liberals. The Liberals started off this campaign with between $14,000,000 and $16,000,000 in their coffers. The NDP, the next largest party obviously, managed to get about $4,500,000. It’s not just the campaign finance. One of the things that’s been happening is that the Liberal government ran $15,000,000 worth of ads over a four month period ostensibly saying that this was a government service. Virtually everyone including some very conservative newspapers made the point that these were not really government service ads, these were ads that were aimed at promoting the party. You really have a Liberal party with $30,000,000 to campaign with and the NDP with $4,500,000, so campaign finance really has become an issue unlike any other election. DIMITRI LASCARIS:	What do the polls, the latest polls, tell us about where voter sympathies lie in this particular election? MURRAY DOBBIN:	The last poll we saw was two days ago and it was a dead heat with the NDP and Liberals virtually tied at around 40% and the Green party at about 17%. The Green party, most of its support is on Vancouver Island. That’s where they have the best opportunity for actually winning a couple more seats. DIMITRI LASCARIS:	Right. The leader of the BC Green party, Andrew Weaver, is a climate scientist who worked with the intergovernmental panel on climate change. As you mentioned, he’s the only Green party member who currently holds a seat in the BC legislature. You just authored an article in Rabble in which you argued that as this campaign is drawing to a close, Mr. Weaver appears to be cozying up to the Liberals and Christy Clark. What caused you to come to that conclusion? He made it clear that he was leaving it open to sit in the cabinet of a government that has the worst environmental record of any government in Canada. Also in our local town, for example, the Chamber of Commerce whose president is the fundraiser for the Liberal candidate invited Andrew Weaver to town to talk and then made very positive comments about him. In a previous election, the Liberal party actually paid for a full page ad in the Victoria newspaper for the Green party. There’s examples of Liberal donors allowing the Green party to put up big signs on their mall properties, so there’s a lot of anecdotal evidence. Andrew Weaver has spent a lot of time in the election attacking the NDP leader whose policies on the environment are very similar rather than attacking the Liberal leader. DIMITRI LASCARIS:	You talked about the environmental record of the Liberals. They not only support the Kinder Morgan Trans Mountain pipeline expansion, they support fracking in British Columbia, the construction of, I believe, three liquified natural gas facilities in the province, and a controversial hydroelectric project called Site C which, if completed, will be the single largest infrastructure project in BC history and is insanely expensive to boot. MURRAY DOBBIN:	Yeah. It is a shameless government. This is why so many NDP’ers are frustrated with the Greens because being attacked by the Green party when the Liberals are so clearly the adversary is quite frustrating. Your viewers might not know that in Canada, it’s called a first-past-the-post system. The party that wins a majority of seats governs with virtually absolute power. There’s nothing the opposition parties can do to stop legislation. The reason the Greens are cozying up to the Liberals is that if they get a couple more seats, then they would hold the balance of power in a minority government. If the Liberals win a minority government, then you would see the Green party supporting a Liberal minority government, which is unthinkable in terms of the environment. DIMITRI LASCARIS:	Even putting that aside for a moment, the whole question of whether a Green party and a climate scientist should be effectively in bed with a Liberal party that has, as you put it, the worst environmental record of any government in Canada, isn’t that a dangerous game to play? Isn’t one possible outcome of condemning the NDP, focusing attacks upon the NDP is that you draw so many votes over to the Liberals that they get a majority in which case you’re stuck with the same government with, as you said, absolute power for approximately another four years? MURRAY DOBBIN:	Oh, absolutely. People are incredibly anxious because of how close the race is and there’s many seats. I think someone calculated last time there were 15 seats in which the Green party vote had it not occurred, the NDP would have won those seats. It doesn’t take a lot in a close election. If the Greens take even 5% or 6% of the vote, most of those votes, although not all of them, would be votes that would normally go to the NDP. DIMITRI LASCARIS:	We’ll certainly be interested to see the outcome tomorrow. I hope we’ll be able to talk some more about the aftermath of the election with you, Murray. Thanks very much for joining us today. MURRAY DOBBIN:	Thanks, Dimitri. Bye bye.